The role of chief innovation officer is increasing in importance. Not to create a new silo for innovation. Rather to work across divisions and silos and push their organization to embrace change and innovation, making it everyone's responsibility. No longer can innovation be left to one or two departments such as marketing or R&D. At a personal level we have to continually develop our innovation skills. We need to nurture our creativity, have passion, take time to think and dream, stretch our goals, and implement new ideas otherwise we become obsolete. This applies no matter what our field or expertise. "Success can only be achieved through repeated failure and introspection." In an article Demystifying Mind Mapping published by IdeaConnection on March 24, 2008 we interviewed Chuck Frey about mind mapping software. His latest eBook, Mind Mapping Manifesto can be purchased online. Vern Burkhardt (VB): When we last spoke you had just published The Mind Mapping Manifesto. What has been the reaction to this eBook? Chuck Frey: The feedback I’ve received from the mind mapping community has been very positive. I wrote the book to share information about the business productivity benefits of mind mapping software, and to help people make informed purchase decisions. Comments from some mind mapping experts indicate I've hit the mark with this book. I’m very pleased with the response. VB: Is it true you have a lot of interest in brainstorming techniques and software as well as creativity software? Chuck Frey:: Yes, definitely. I’m always looking for new techniques to generate fresh ideas. There’s some software available but that market is a bit dormant. There’s not a lot of development of brainstorming software going on right now. Some developers have tried to create software tools but I am not sure how well they’re selling. They’re probably doing okay but not really setting the world on fire. It's been that way for a long time. I’m also a big fan of creativity tools that are not software but that can help you generate ideas. For example, there are a number excellent card decks available. VB: Why are card decks useful creativity tools? Chuck Frey: There’s an aspect of randomness to them. If you shuffle the deck you don’t know what’s going to show up when you turn the card over, and that helps take your thinking in fresh directions. It’s a bit of a surprise factor. VB: Do you have any comment about Paul Sloan’s The Innovative Leader: How to Inspire Your Team and Drive Creativity? Chuck Frey: I’m a big fan of his writing on the subject of innovation. One of the ways I judge a book is by how much original thinking it contains, and whether it's got some fresh insights. I really enjoyed reading it. It has an interesting format—each chapter is only a page or two in length. That doesn’t mean it’s superficial. It’s easily digestible with insights that I’ve found to be quite valuable in developing my thinking. He expresses them particularly well. VB: You use the terms “Chief Innovation Officer” and “Innovation Manager”. What are the key aspects of these roles, and are businesses becoming aware of the need for them as separate roles from that of “line” manager? Chuck Frey: These innovation roles are growing in importance. If innovation is part of everyone’s job, it doesn’t get done. So I think naming someone innovation manager gives them the opportunity to create internal processes and methodologies for driving innovation in the company and driving investment in innovation. Chief innovation officer is a relatively new development. You don’t see a lot of them in business but it’s growing. Companies are recognizing innovation needs to be a C-level position. In other words the head of innovation reports directly to the CEO. That’s recognition that innovation is growing in strategic importance. VB: How does this function differ from the traditional Research and Development function? Chuck Frey: R & D tends to be focused on new product development, developing technologies that could later manifest in new products or product lines. Innovation managers are more widely focused although they might incorporate R & D into their responsibilities or interface with the internal R & D departments. In order to be successful an innovation manager must also be looking at the company's business model, processes and service innovation. They don’t replace the R & D manager; they are an additional function. VB: You use the term “thought leader”. What are the attributes of a thought leader? Chuck Frey: Thought leaders are people who aren’t satisfied with the status quo. They are the people raising issues within the organization related to the need for change, for innovation. Their goal is to lead people’s thinking in new directions. I am starting to encounter some great corporate thought leaders among the people who are part of an innovation panel I am working with. VB: How did they become great corporate thought leaders? Is it an innate ability or did they learn to think innovatively and creatively? Chuck Frey: To a large extent it’s learned. They saw a need, and decided to fill it. But in many companies they end up being lone rangers. That’s the down side of it, and they tend to burn out quickly, especially if the corporation’s culture isn’t set up to support innovation. You need the support of the corner office, the CEO, to drive innovation. With the average tenure of CEOs shrinking it’s hard to sustain this function. VB: So it’s not necessarily a positive message for the lone rangers. But if the CEO is firmly behind this function and if innovation and change becomes part of the corporate culture, would you say it can be a rich environment for creativity and for having a corporate and competitive advantage? Chuck Frey: It definitely has the potential to be so. Many companies have succeeded in having thought leaders one or two times in their history but making it an ongoing commitment is hard. Procter and Gamble is a great example. The CEO made a corporate-wide commitment that a significant percentage of their new products would come from new business ideas and from outside their internal R & D group. Google is another impressive example. They throw a lot of stuff against the wall and see what sticks. It sounds kind of messy but it’s actually a valid way for them to go because a lot of things they are trying have not been tried before. You can only vision, simulate and think about something so much—eventually you have to put something out there even if it’s a little crude, get the reaction of the marketplace, then quickly and iteratively improve the product or service. Google is good at that. I also like that they allow their people to spend up to twenty percent of their time on non-work related projects. Sometimes those projects become seedbeds for new technologies or business ideas. VB: You have an extensive website with information about InnovationTools website which I gather you alone look after updating. How do you manage to keep the data current? Chuck Frey: Yes, I do it on my own. Which is possible because I designed it from the beginning as a data driven site. Whenever I add a new article, blog posting, or news item I can do so quickly without having to create new web pages and manage the links between them. The database back end and the way the pages are coded takes care of all of that for me. So I can fairly quickly add things to the site with a minimum of hassle. I decided from the beginning to keep it simple because that’s where my skills were at. It turned out to be a good design decision because as the site grew in traffic it remained efficient to maintain and grow. VB: What led you to develop the website? Chuck Frey: In my full time job for a trade association I was responsible for the content and direction of our website. One of the things we did over time was transform it from a site that simply contained information about our organization, programs and services into more of an information portal where we were aggregating in one place the information our members needed in order to do business effectively. At one point I overlaid the information portal model on the innovation space and realized that nothing like it existed. So I decided to create it and see how far I could take it. That was six years ago. VB: In what ways do you think that the InnovationTools website meets your stated goal “to help busy executives be more innovative in their businesses”? You also say your goal is to enable the user to have more fun in the process. Chuck Frey: My objective is to gather all the information entrepreneurs and innovators need to know about innovation. I don’t believe I’ve achieved that yet but I get a lot of feedback from readers telling me what a wonderful resource it is for them. The amount of traffic the site gets now would seem to bear that out. There’s definitely more room for growth. My job now is to continue developing a strategy for growing the content and the value it provides to my audience. VB: You have a number of writers who contribute articles, such as Henry Chesbrough, Paul Sloane, Carol Franczek, Jeffrey Baumgartner, Mitchell Ditkoff, Jim Clemmer, Daniel Scococ, Ali Alwattari, Chas Martin, Alan Wunsche, Mark Turrell, Stephen Shapiro, Bryn Meredith, Andrew Papageorge, Barrie Bramley, Jack Hipple, Linda Naiman, Robert Tucker, and Jordan Ayan. How do you know these contributors? Chuck Frey: I have come to know a lot of these writers through the website. In some cases they are people who came to me and said “I’ve got an article, would you be interested in it?” In other cases I sought them out because I admired their writing and asked if they would be interested in contributing to the site. Some are people who write good innovation newsletters which I re-publish with their permission if I think an article will be of interest to my readers. That works well. VB: You host an Innovation Weblog. What do you find most interesting about this method of information sharing? Chuck Frey: It’s a very flexible medium, great for communicating little bits and pieces of information which may be of value to your target audience. It's useful whether it contains original thoughts, or points readers to blog posts or other valuable resources. Everyone’s so busy today they value someone separating the wheat from the chaff for them. You become a human filter of what’s available on the Internet. VB: The information explosion is only going to increase so this ability to screen and put a lens on data and documents could be one of the highest values of trusted weblogs. VB: Have you encountered any breakthrough ideas on your weblog or by participating in other weblogs? Chuck Frey: From reading other weblogs, definitely. I’ve been gathering a growing number of insights from blogs these days. Not many people have time to write an entire article but almost anyone can publish a blog posting. It’s a great self-publishing medium. It exposes me to original and valuable thoughts about innovation, and other things I wouldn’t otherwise know about. It’s very valuable. VB: Do you think the trend to an explosion of weblogs will continue or will it reach and stumble on a point of information overload? I’ve read a number of reports and blogs about blogging, all of which say the number of new weblogs continues to grow at an astonishing rate. What is much harder to measure is the abandonment rate—the number of weblogs people got tired of, or too busy to keep it up. We’re seeing a constant churn of new weblogs being born and old ones dying or becoming dormant. VB: Where do you think creativity and innovation are heading—where are we heading—when you look into the future ten or more years? Chuck Frey: There's no doubt it will continue to grow in importance and significance. Some people envision it becoming a part of everyone’s job—similar to what total quality is today. It took about twenty years to achieve that level of penetration. Innovation appears to be following the same life cycle. The danger is it could become a fad and burn out but I don’t think that’s likely to happen. Right now people are not even sure how to define innovation or what the accepted processes are. There’s a lot of experimentation, a lot of looking at what other people are doing. It needs to become a little more systematized. VB: What do you mean by “systematized”? Chuck Frey: It needs to become something you can implement in an organization, an ongoing process. So many factors can impact innovation, whether it’s the company culture, the attitude of the CEO, or the skills and abilities of the employees. It’s turning out to be devilishly hard to instill creativity and innovation as ongoing behaviors and processes. But those issues will get resolved over time and innovation will become much more widespread. It will increasingly become a necessity for business survival and competitive advantage. VB: Is there cause for optimism in other areas such as innovation in education, politics, and other aspects of life? Chuck Frey: Yes, if you look at what’s going on in America right now in terms of politics everybody is talking about change. There’s obviously a need to come up with new ideas and make things better. We’ve not seen a lot of specifics on how they’re going to bring about change or even what the changes would be. But there's definitely a lot of interest in change right now. VB: What will businesses have to do differently if they want to thrive and grow in the ever increasing global competition? The growing economic power of China and India are but two examples. Chuck Frey: Look at what these countries have been doing for North American and European companies—they’ve been contract manufacturers. We’ve been outsourcing things like customer support and other repeatable operations that can be done at a lower labour cost in these countries. It’s become clear to me, based on what I’m reading and hearing, that these developing nations are not satisfied with simply being a contract manufacturer or outsourcing base. Many of them want to move up the food chain. Countries like India and China have identified innovation as being of major strategic importance to their economies. They’re developing the infrastructure and making investments to support innovation, whether it's in higher education or making funds available for R & D.
North American and European companies in virtually every industry are going to face more competition from around the globe. But I also think they’re going to be facing competition from new business models, from unforeseen upstarts that suddenly appear in their own markets. The way Amazon.com shattered the existing bookstore model. Nobody saw them coming. I think we’ll be seeing more of that kind of thing. VB: So stay alert, and be aware of what’s behind you because companies with innovative new ideas, products and services may be coming at you. Chuck Frey: You have to continually scan the horizon for new technologies. You may be watching particular companies, but you also have to look for the emerging stuff, the distant signals that aren’t strong now. You have to be thinking ahead five or ten years to where the emerging trends are leading. You’ve got to decide what you are going to focus on well ahead of time because by the time it hits you it’s too late. VB: If you were starting a company today and you wanted to be a maverick company, what would you do? Chuck Frey: I would look for an industry or group of companies that are slow moving or aren’t as efficient as they should be, or haven’t seen any reason to become more efficient. I don’t know if there are a lot of these types of markets left. There are plenty of opportunities for companies to think outside the box and come at a marketplace differently. What happens, and you see this in Clayton Christensen’s writing, is that incumbent businesses tend to ignore new entrants to a market, considering their products inferior and not worthy of attention. That approach often hurts incumbent businesses because they don't adapt and reinvent themselves soon enough. The competitors they discounted turn out to be the ones that upend the business model or the competitive model in that market space and take over as the dominant players. VB: I suspect managers and leaders are so busy running their businesses they don’t take the time to look outside their space. I’ve read that some CEOs of highly successful innovative companies will take a week once every six months to spend time by themselves, thinking and reflecting about the world, the future and their companies place in it. Chuck Frey: That’s a brilliant strategy because it puts them in touch with those distant signals I mentioned—the things that are just starting to emerge and which nobody yet fully understands. VB: How do you find the time for everything you are doing, including holding down a full time job, researching mind mapping software, reading books and articles, writing articles and books, maintaining your website, participating in weblogs, doing quality thinking, plus spending time with friends and family or pursuing recreational activities? Chuck Frey: I’ve figured out how to use small blocks of time productively. For example, I get a lot of work done on my website during my lunch break at work. I look for shortcuts like Dragon NaturallySpeaking software which allows me to dictate first drafts of articles and blog posts, or do a brain dump to get my ideas into electronic format on my laptop. That speeds up the writing process. I have online services that monitor other websites and pages—a lot of what ends up in my blog or website news section arrives through these services. These services tell me when and what content on other sites has changed, so I can quickly determine what I want to focus on. That’s a big time saver. I don’t travel a lot but when I do I use that uninterrupted time on the plane productively. I try really hard not to let my avocation intrude on my home time. I have a wife and three kids so I can’t be sitting at home writing articles. VB: Are there any areas we haven’t explored in this interview that might be of interest to IdeaConnection readers? Chuck Frey: I am currently working with Hitendra Patel on an Innovation Experts Panel for InnovationTools. Hitendra is in the innovation consulting field and knows a lot of people, a lot of top innovation practitioners. (Vern’s note: Hitendra Patel is Professor of Management Consulting at the Center for Innovation Excellence & Leadership at the Hult International School of Business). We created an innovation panel of eleven people, representing a cross-section of businesses and geography. Our first step was a survey aimed at identifying the issues of primary concern to innovation practitioners. Now we’re asking our panel of practitioners questions about these top issues. The insights we’re getting back are absolutely fascinating. We’re trying to draw out strategies and ideas other people can use. VB: You and Hitendra Patel conducted that survey of innovation practitioners in November 2007. Did you encounter any surprises? And we have published four papers. VB: What are a few of the interesting things you heard from the panel? Chuck Frey: One of the interesting topics was where to find ideas. Although the "big" idea or "silver bullet" may be the popular ideal of innovation, management needs to establish a culture and climate that empowers every employee to identify and solve small problems. Other great sources of ideas include listening to or observing customers without restricting your concern to the customers' current needs; examining adjacent industries; looking at technology trends; checking out new entrants to your market; and being open to serendipity. The more ideas that are generated in an organization the more likely some of them will be jewels. Maintain a portfolio of new ideas—ranging from incremental innovations all the way to major "game-changing" ideas. Ideas don't come on demand, they need time to percolate, and take time to evaluate—the adage applies "let's sleep on it". Chuck Frey is more than an authority on mind mapping software. He has studied creativity and innovation for over twenty years. The roundtable panel Chuck and Hitendra Patel created has already generated useful insights. I found their first four papers interesting and informative. We can look forward to publication of the remaining six over the coming months on the InnovationTools website. How do you connect innovation to business strategy and get the funding and senior management commitment to follow through on both short- and long-term innovation initiatives? What is the best process and tools to put in place to involve all the important parties and drive innovation across the enterprise from concept to customer? How do you build and sustain a culture and climate for innovation and entrepreneurship? How do you measure innovation results and outcomes and motivate the organization to deliver across all stages of the process? How do you find and build the people and capabilities and competencies required to be successful in innovation? How do you organize to drive successful innovation in your company and across the value chain and what are the decision rights and accountabilities? 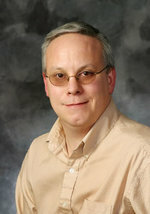 Chuck Frey has over twenty years experience in public relations, marketing, business strategy and information services. He has written a great deal about mind mapping software in three eBooks and many articles reviewing the visual mapping software programs available for purchase. His most recent book is Mind Mapping Manifesto. He has a Mind Mapping Software Blog and maintains an extensive website called InnovationTools.